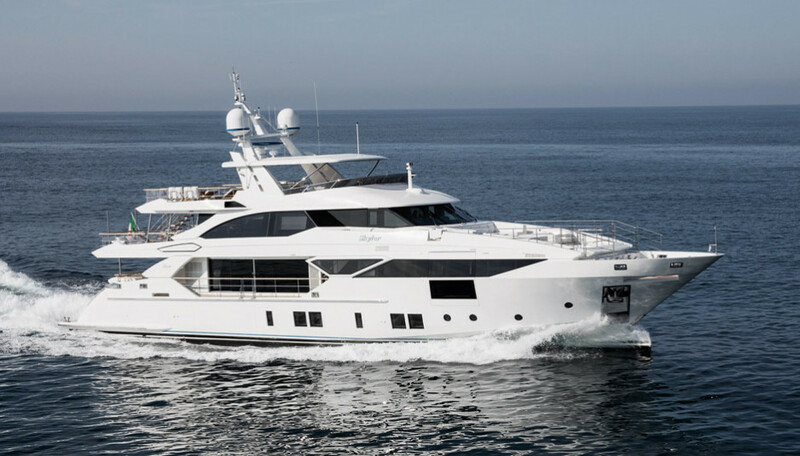 The Benetti Fast 125 “Skyliner” is equipped with the innovative Rolls Royce Azipull Carbon 65 propulsion system, combined with the D2P hull. 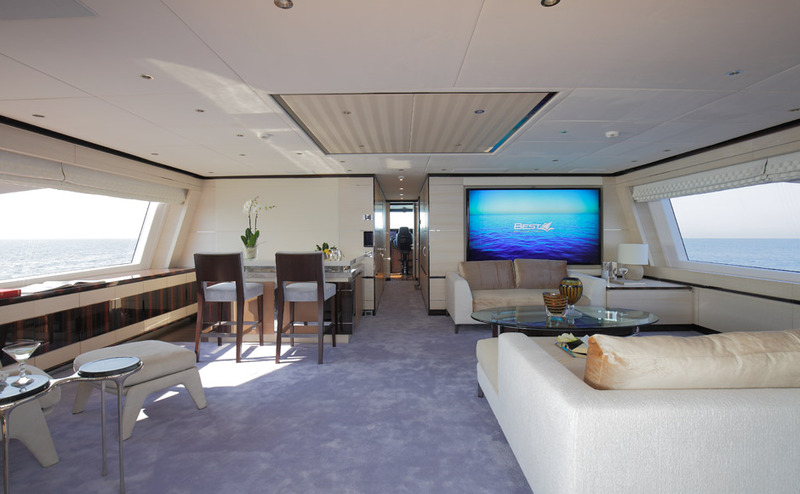 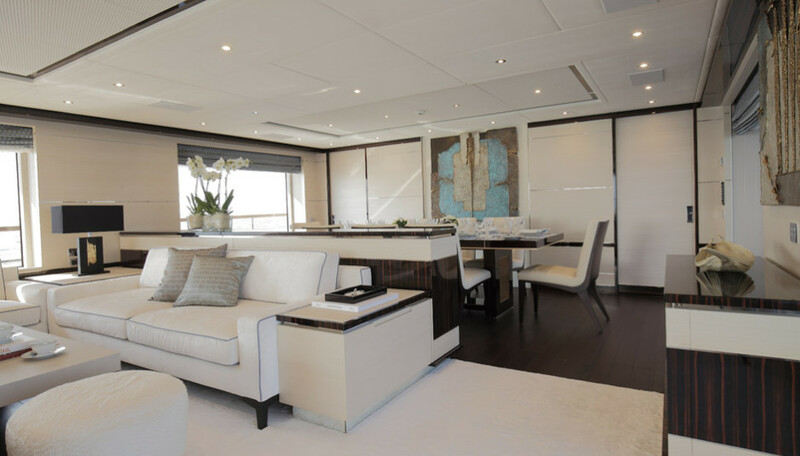 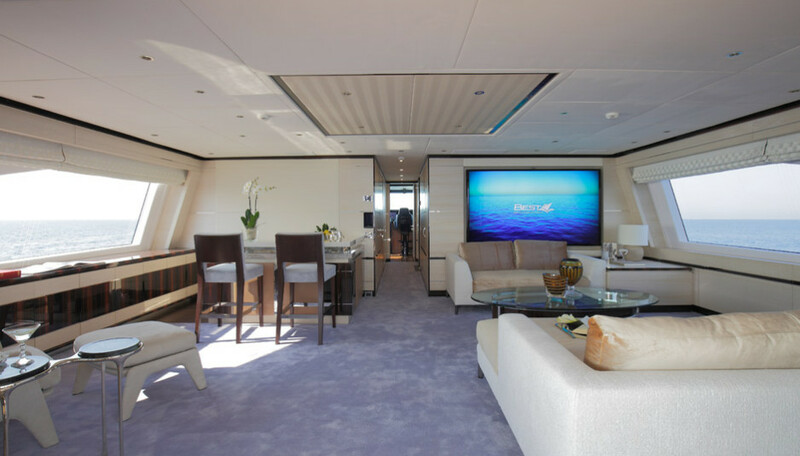 Carbon-fiber superstructure and 40% lighter epoxy resin, D2P (Displacement to Planing) hull with bow wave piercer, Rolls Royce Azipull Carbon 65 propulsion, modern and personalized interior design by Redman Whiteley Dixon with four spacious areas outdoors dedicated to guests’ relaxation. 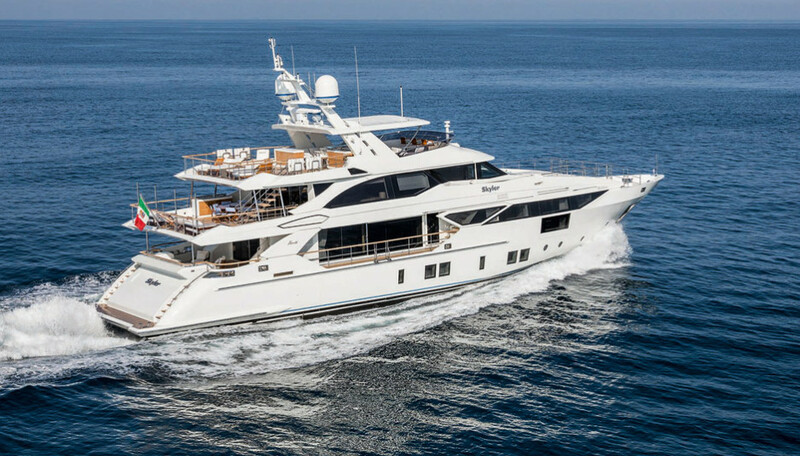 These are, for the most part, the features of the Benetti Fast 125 “Skyliner”, the third unit of the Benetti Fast range. 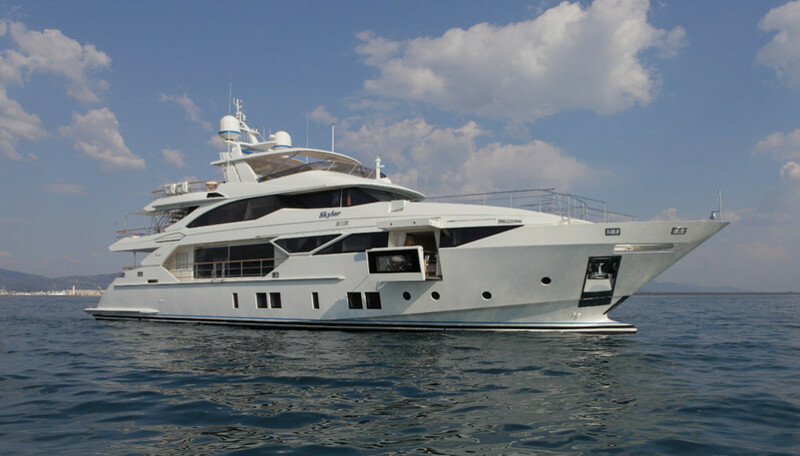 With a length of 38.10 m and a beam of 8.30 m, Benetti Fast 125 “Skyliner” was built at the Viareggio yard of the brand. 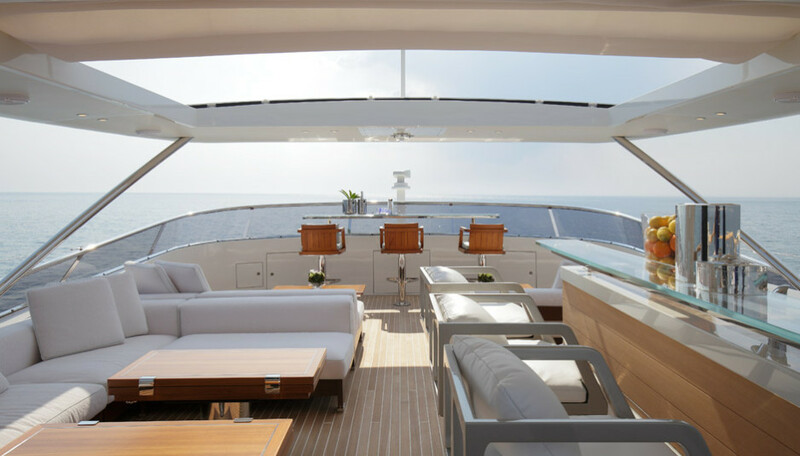 The exterior sporty lines are by Stefano Righini, who has gone for horizontal windows to further accentuate the sleek aspect of the yacht. 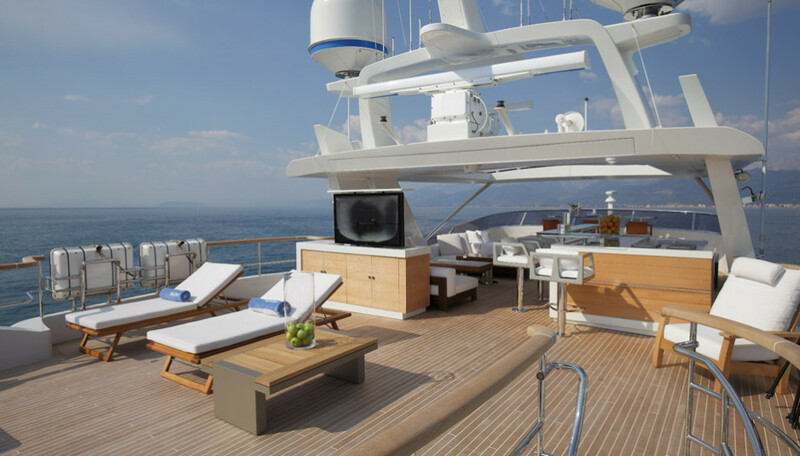 Another important feature is the central element, beside the superstructure, which covers the staircase to upper the deck. 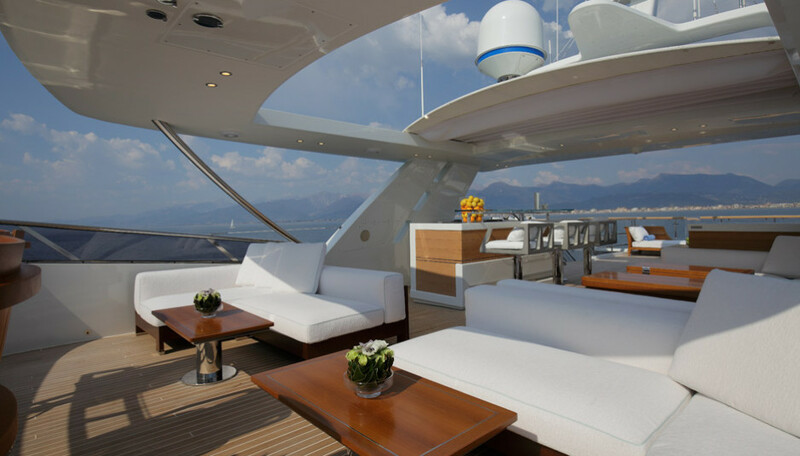 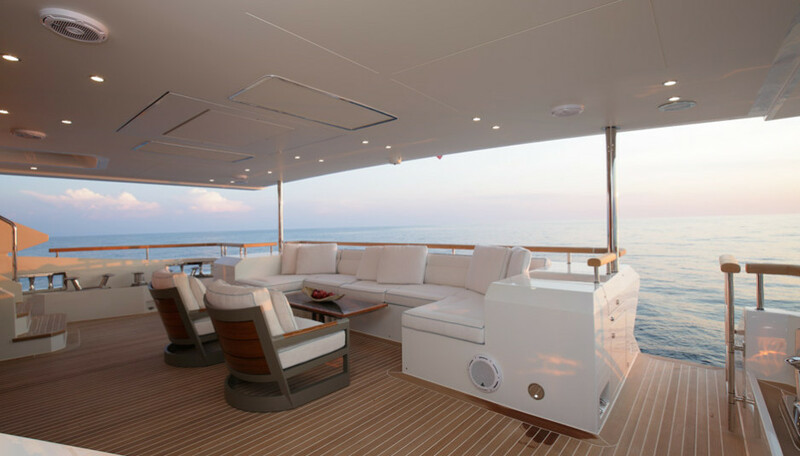 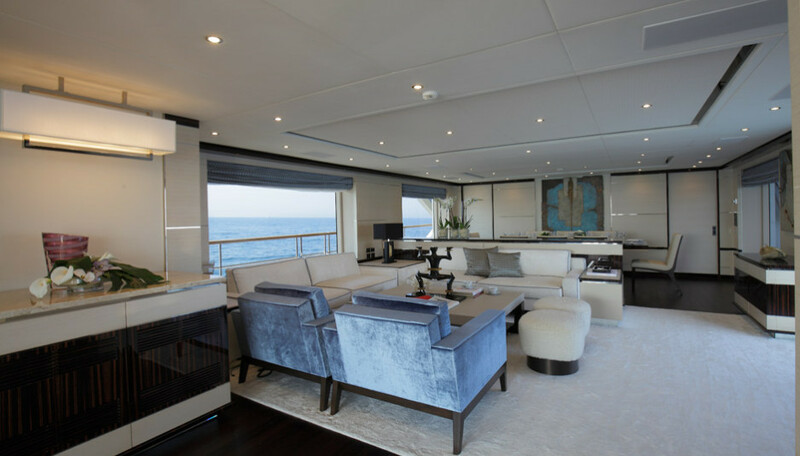 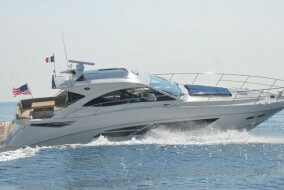 The interior is in the “Air” configuration, one of the three options that Benetti offers to the Fast 125 owners. 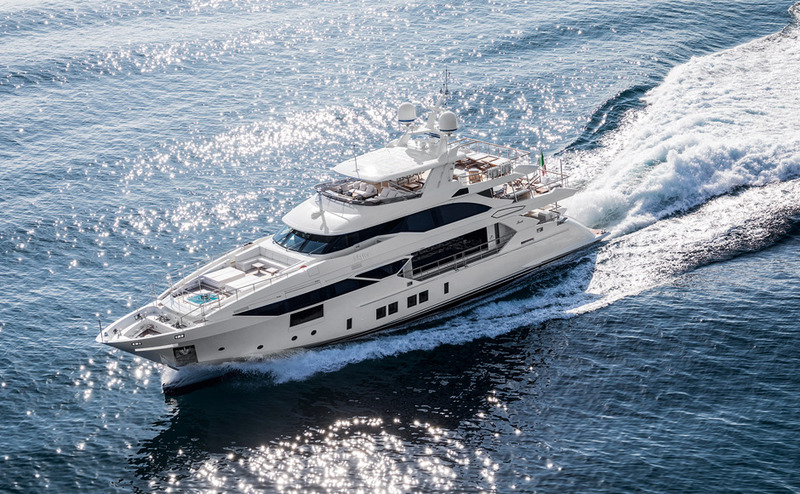 The salient technological feature of Benetti Fast 125 “Skyliner” is the Azipull Carbon 65 propulsion system, designed by Rolls Royce specifically for the Fast 125 models. 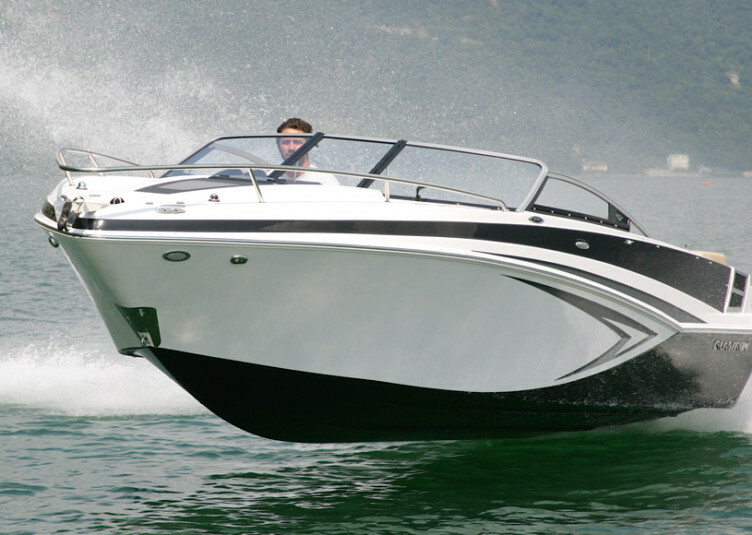 Azipull is an efficient, reliable and light powertrain, thanks to the use of composite materials. 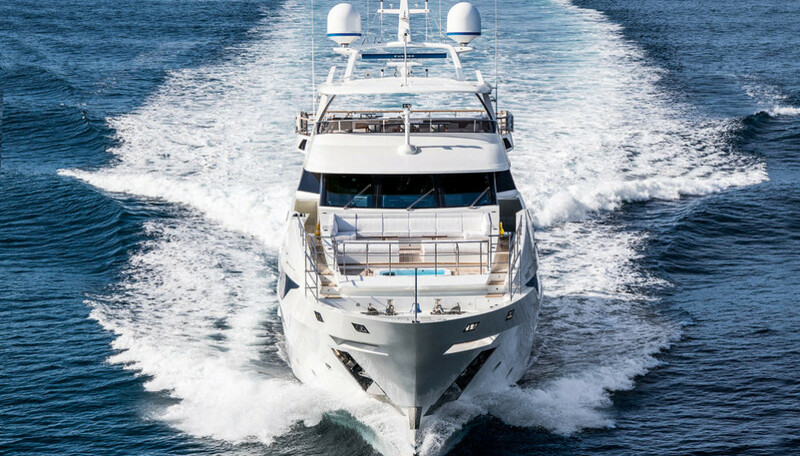 In addition, new engines allow for better use of the onboard space, still keeping high propulsion efficiency, good maneuverability and easy maintenance. 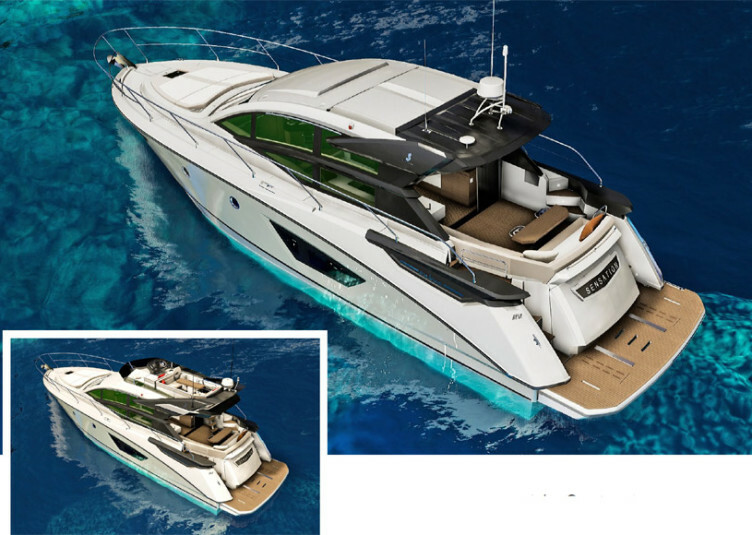 Another feature of this range is the D2P hull with wave piercer, which combines the advantages of a low-speed displacement hull with those of a high-speed planing one. 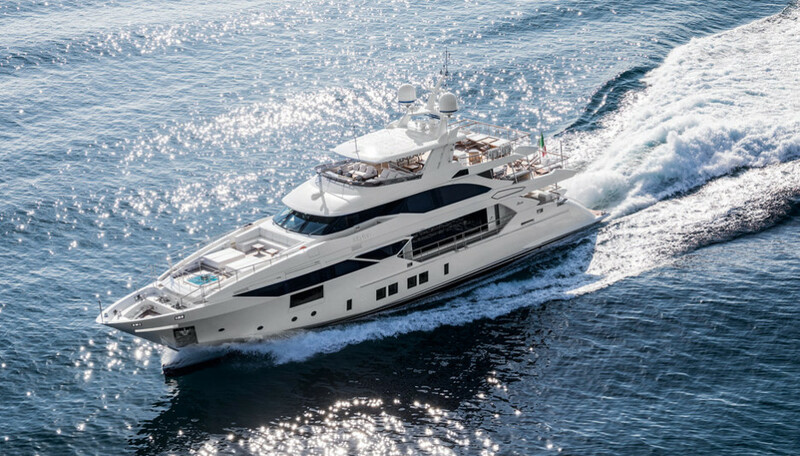 So Benetti Fast 125 “Skyliner” can reach a top speed of 22 knots driven by a pair of MTU 12V 2000 M94 Diesel units, for a total of 2,636 HP, and can keep a cruising speed of 17.5 knots. 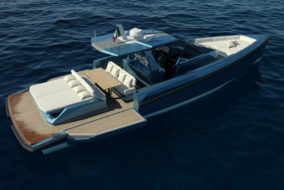 The 30,000 liters fuel tank guarantees an autonomy of 1,540 nautical miles at 12 knots; while water tanks have a capacity of 4,000 liters. 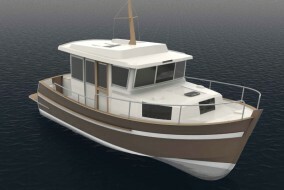 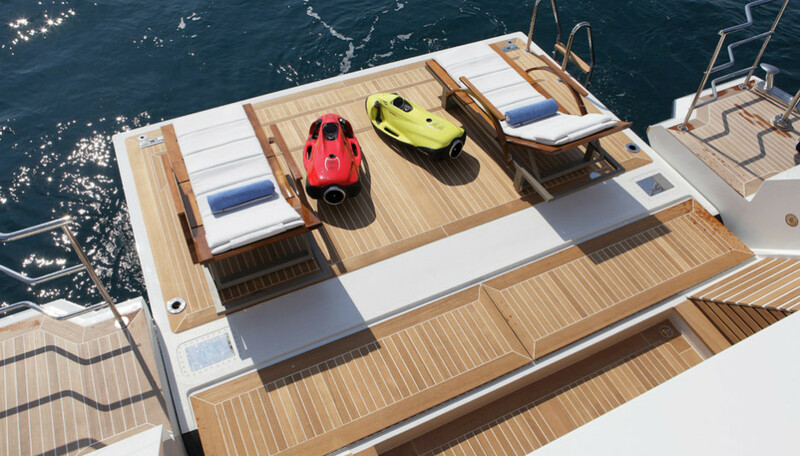 There are four distinct areas outside: on the lower deck the swim platform / beach has its own bar, while the garage, large enough to host a tender and two water bikes, opens to leave the stern area completely free. 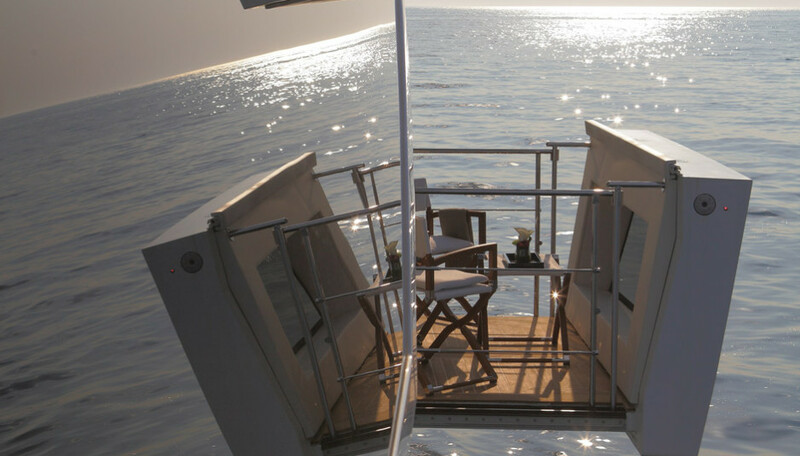 On the upper deck the owner required a hand-carved teak table, and an area to bow is equipped with a custom seat over two meters long and five meters wide with, in addition, two comfortable sun beds and a swimming pool . 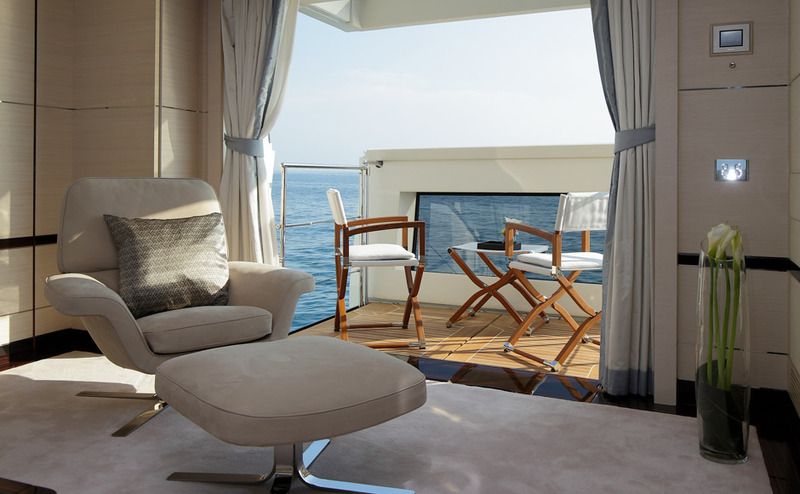 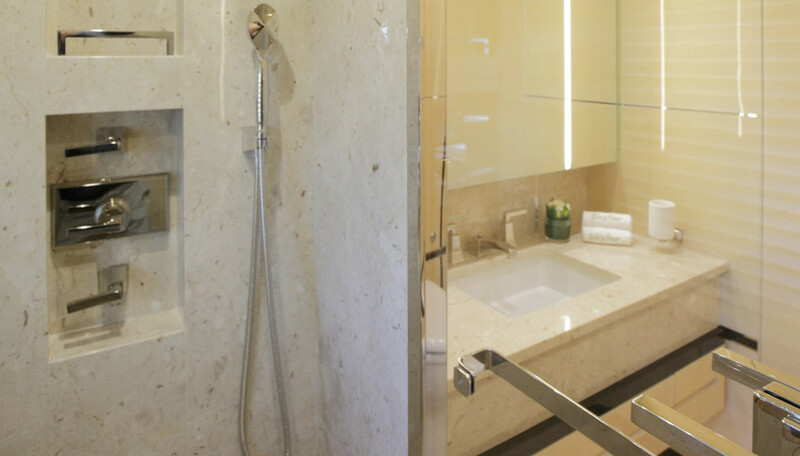 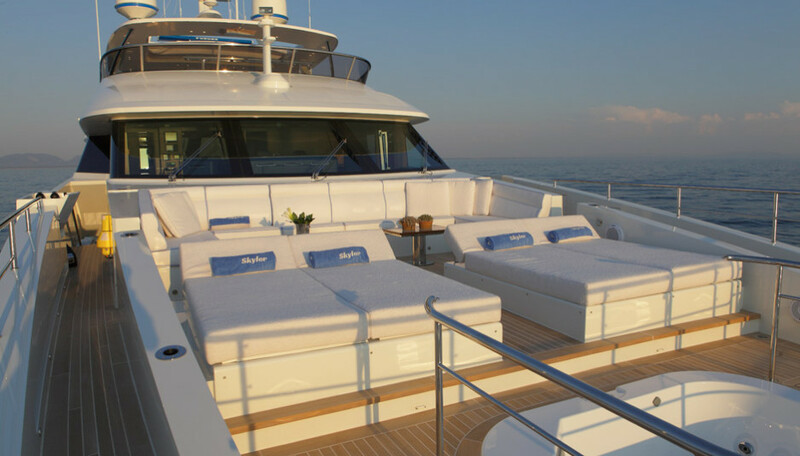 The sun deck is fully devoted to relaxation and is equipped with a wet bar area, two L-shaped sofas and a dining area. 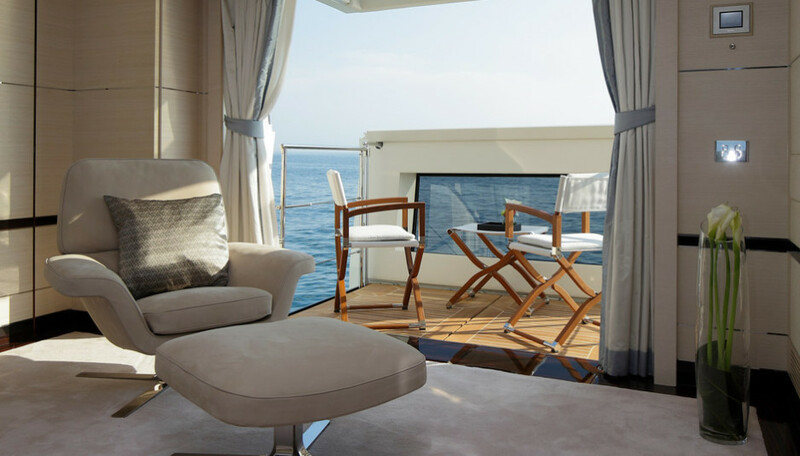 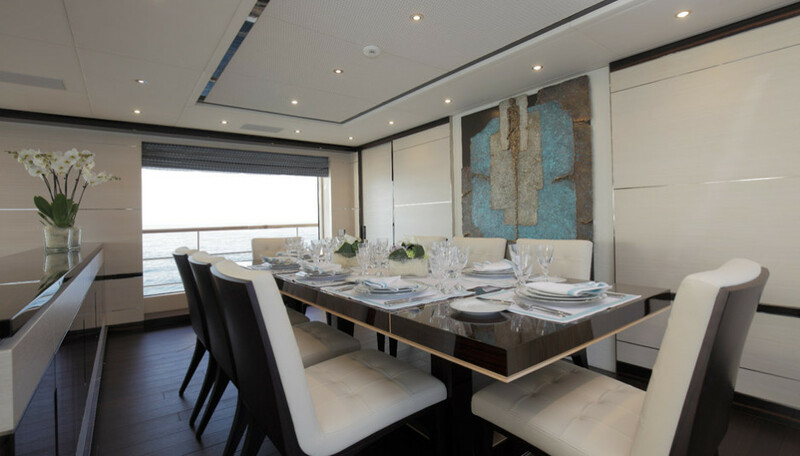 The interior layout has been designed to comfortably host up to 10 guests in five cabins, articulated into a master suite, three double rooms and a fifth one with twin berths and space for a third. 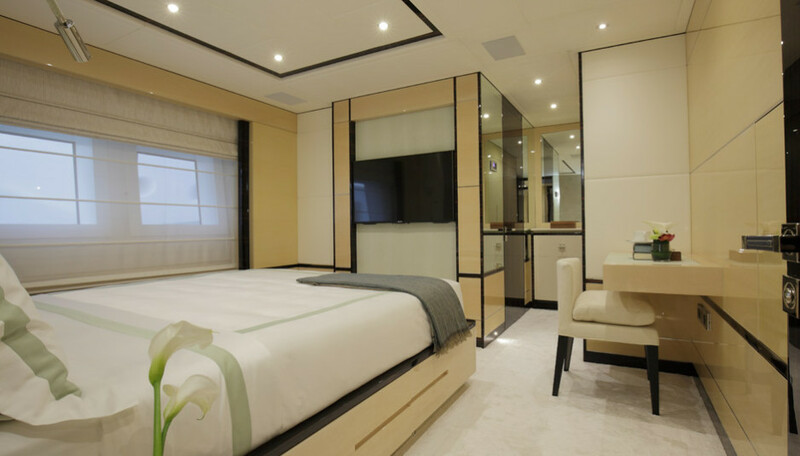 Crew quarters can sleep up to seven people.